After six years of solid posting, this break was certainly welcome. 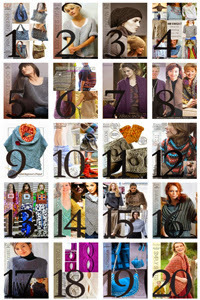 Posting is a joy, exploring the web for new ideas for crafting and being able to provide free patterns to support those designs. Taking time to recharge one's batteries is also vital for maintaining the creativity involved. The decision to create a collection of crochet patterns has been on my mind for some time. Even though I enjoy working and designing knit, crochet and needlepoint, I decided to start with crochet designs. This undertaking takes time, discipline and energy which is why my posting has been somewhat sporadic. 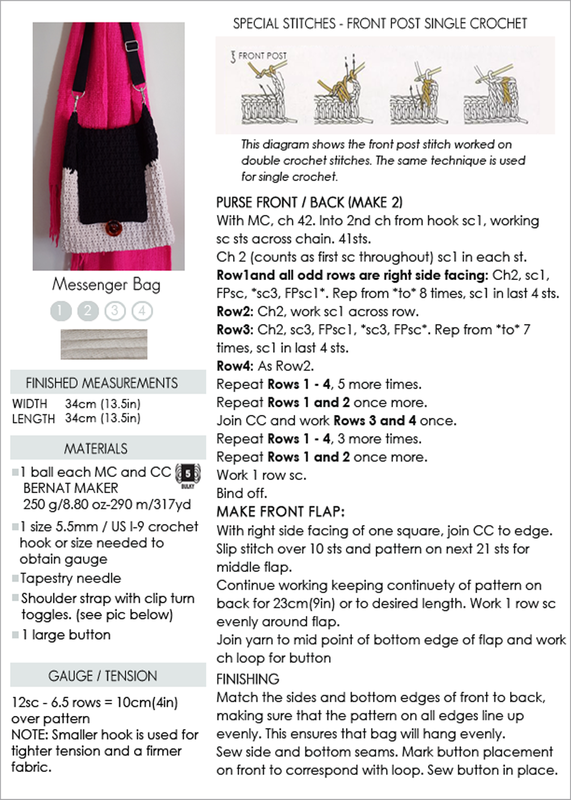 In the meantime I'm posting a free pattern for a messenger bag, which I find to be one of the most useful bags to own. 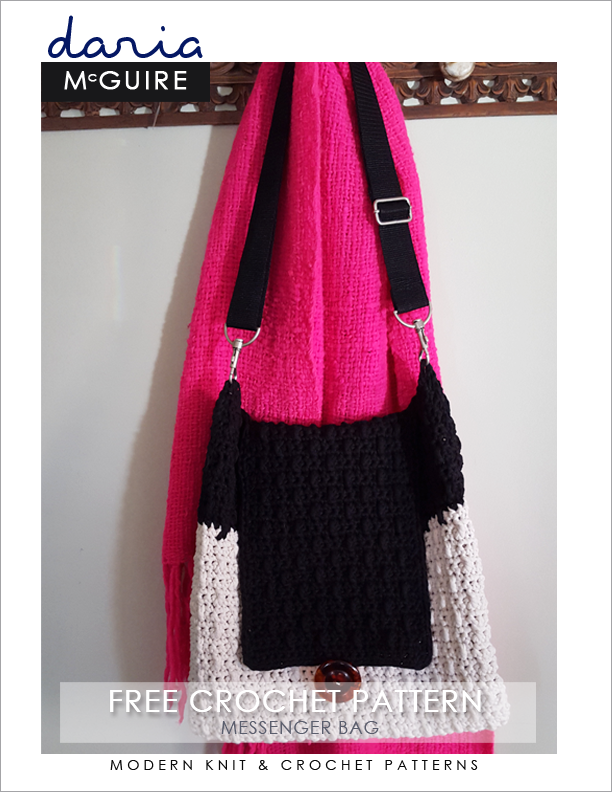 You will note the shoulder strap is not crocheted although you could work one up easily. In previous posts I've mentioned how much I love thrifting so this happens to be a strap from a thrifting expedition. 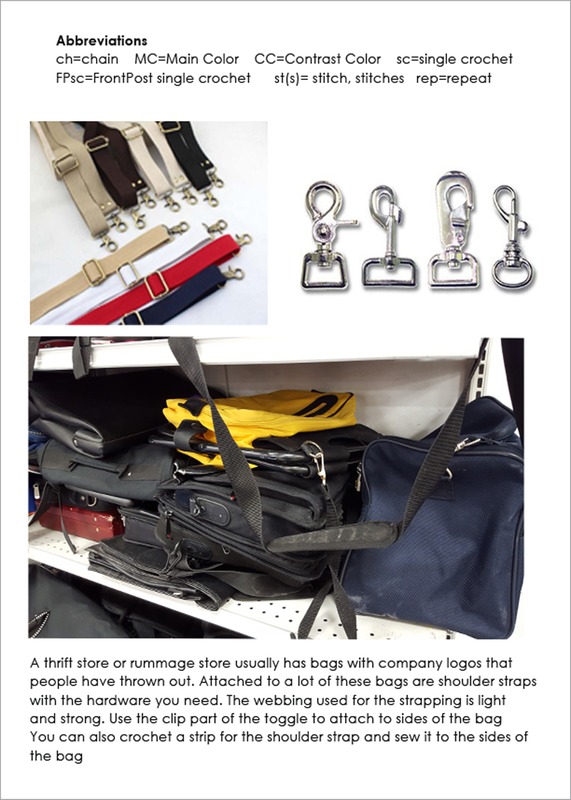 We're lucky in this city to have so many large thrift stores such as Value Village and Talize. The strap cost me all of 3 bucks, a bargain. The button is vintage, again part of my vast collection of buttons. Make your new spring bag out of the suggested yarn or any bulky yarn you like. Enjoy!